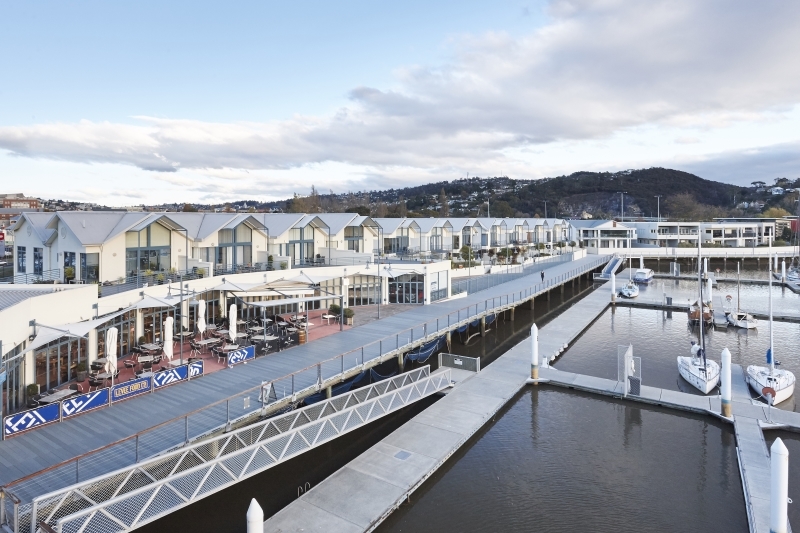 Built in 2002 from Tasmanian Ironbark, the waterfront boardwalk at Seaport in Launceston, Tasmania had reached the end of its practical life after only 10 years. 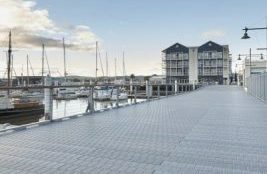 Raj Pakiarajah, from Launceston City Council, said, ‘ one of our main aims is to find out what is the suitable material for this boardwalk. We finally found out that recycled plastic is the product we wanted and that the community wanted’. Decking Out Melbourne worked with local contractor Darcon Building Excellence to complete the project and in only six months the refurbishment was complete. 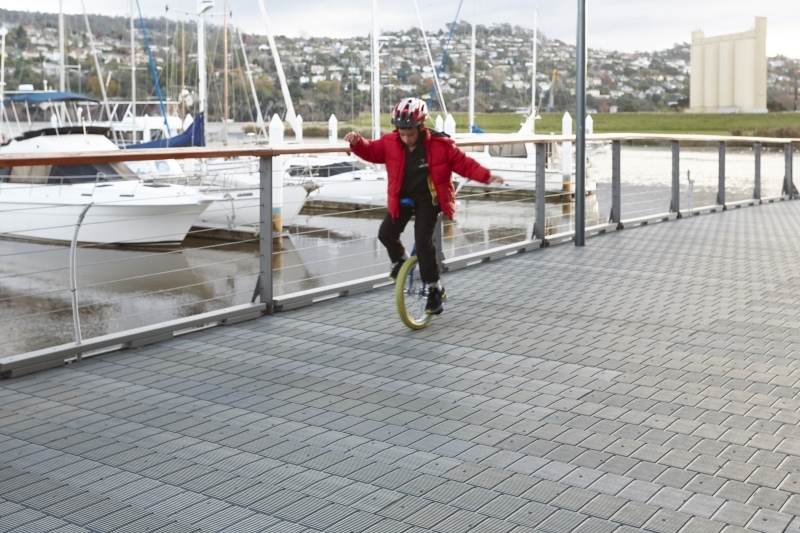 The six metre wide deck stretches for almost 350 metres and provides a safer more durable surface for pedestrians. According to Graham French from Decking Out Melbourne, one of the unique features of the project was that, ‘all the offcuts were sent back to Replas to be melted back down and turned into wonderful looking seats to line the boardwalk’.